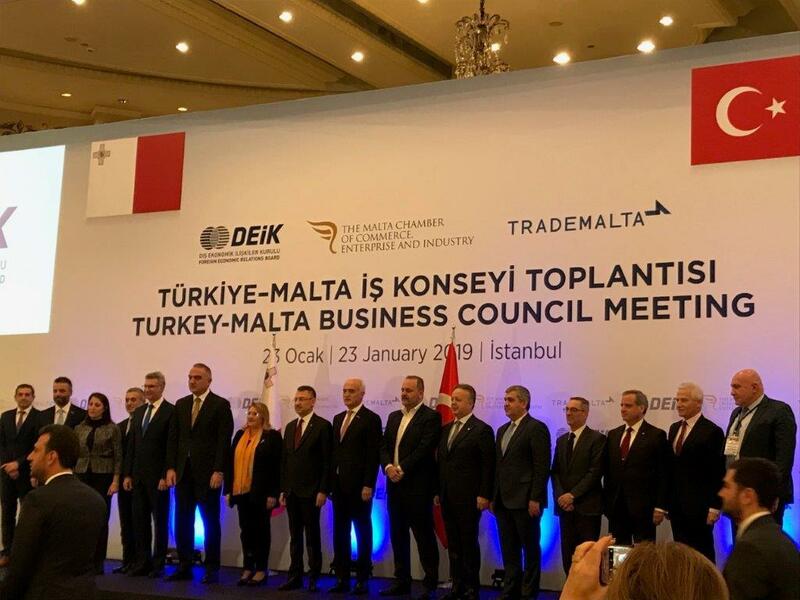 AML’s Managing Director Suzanne Brincat Dowdall attended the Malta Business Delegation in Istanbul on the 23rd January on the occasion of the State visit of H.E. President of the Republic of Malta. During the Business Council Meeting various speakers including the President of Malta H.E. Marie Louise Coleiro Preca and the Vice President of the Republic of Turkey H.E. Mr. Fuat Oktay, the Chairman of DEIK Mr. Halis Ali Cakmak and the President of the Malta Chamber of Commerce Mr. Frank Farrugia, the President of DEIK Mr. Nail Olpak, together with a number of MPs from Malta gave various presentations on the economic situation of both countries and the potential of collaboration between businesses from Malta and Turkey in different industries, including Maritime. Various B2B meetings were also held during the course of the day.